Nsedu Obot Witherspoon, MPH, serves at the Executive Director for the Children’s Environmental Health Network (CEHN), where her responsibilities include successfully organizing, leading, and managing policy, education/training, and science-related programs. For the past 18 years, she has served as a key spokesperson for children’s vulnerabilities and the need for their protection, conducting presentations and lectures across the country. She is a leader in the field of children’s environmental health, serving as a member of the NIH Council of Councils, on the Science Advisory Board for the Centers for Disease Control and Prevention, and the External Science Board for the Environmental Influences on Child Health Outcomes (ECHO) NIH Research work. She is a Co-Leader for Advancing the Science/Health initiative of the National Collaborative on a Cancer-Free Economy. Ms. Witherspoon is also a Board member for the Pesticide Action Network of North America, the Environmental Integrity Project, and serves on the Maryland Children’s Environmental Health Advisory Council. Ms. Witherspoon has held past appointments on the Children’s Health Protection Advisory Committee for the Environmental Protection Agency, and the Board for the American Public Health Association. 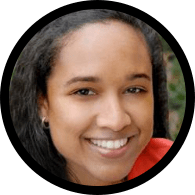 She is a past member of the National Association of Environmental Health Sciences Council and the Institute of Medicine’s Environmental Health Sciences Roundtable. Ms. Witherspoon has a variety of publications and has the distinct honor of having one of CEHN’s leadership awards, the Nsedu Obot Witherspoon (NOW) Youth Leadership Award, named in her honor. She is also the recent recipient of the William R. Reilly Award in Environmental Leadership from the Center for Environmental Policy at American University and the Snowy Egret Award from the Eastern Queens Alliance. Ms. Witherspoon has a B.S. in Biology Pre Med from Siena College and a M.P.H. in Maternal and Child Health from The George Washington University, School of Public Health and Health Services. She is a proud mom to 4 children!